Important Dialog Box - Keyboard Shortcuts. 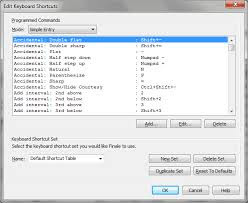 In this post, I will show you important desktop and laptop dialog box keyboard shortcuts that you can’t do without. A dialog box is a temporary window an application creates to retrieve user input. An application typically uses dialog boxes to prompt the user for additional information for menu items. A dialog box usually contains one or more controls (child windows) with which the user enters text, chooses options, or directs the action. 11. BACKSPACE (Open a folder one level up if a folder is selected in the Save As or Open dialog box). Related Posts: ICT, Keyboard Shortcuts.